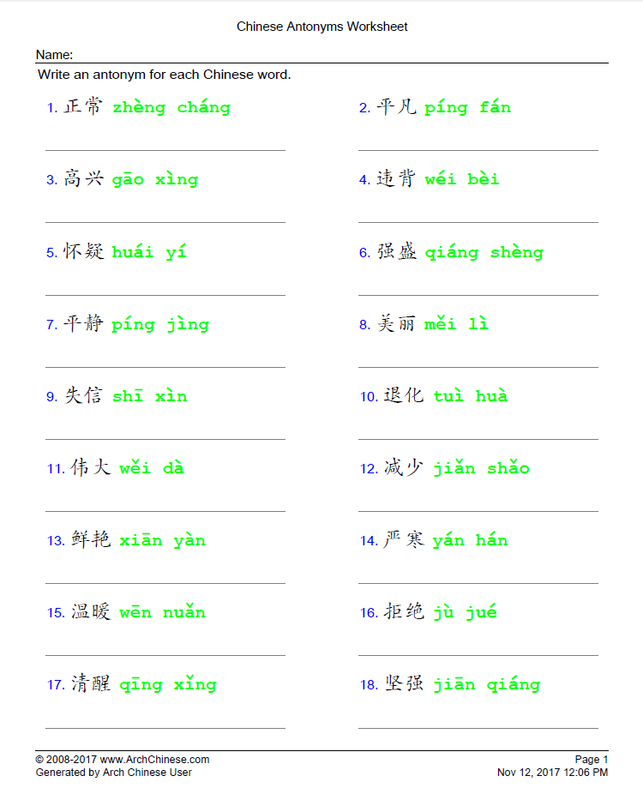 Learning synonyms (words that have similar meanings) and antonyms (words that have opposite meanings) are a great way for students to expand their vocabulary and enhance reading comprehension. 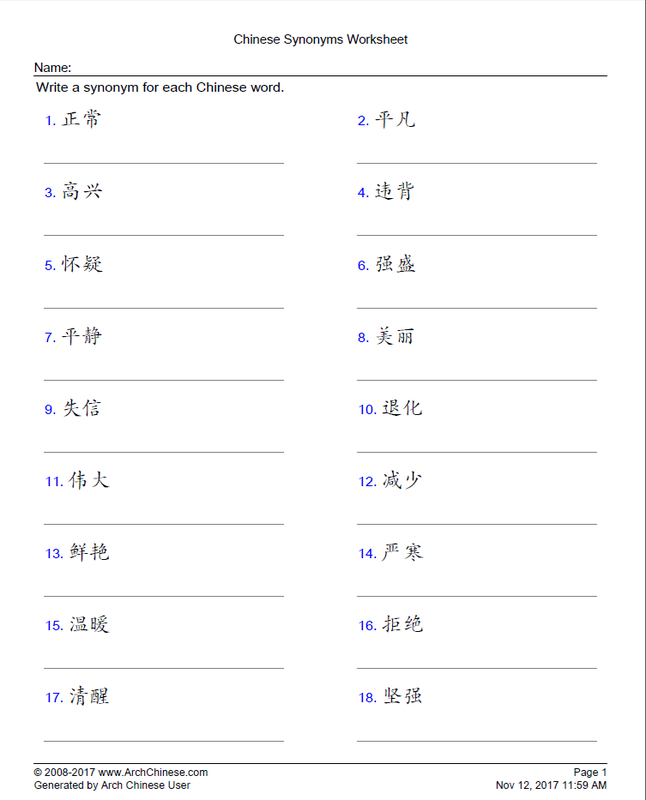 This tool allows Chinese teachers to quickly create worksheets for teaching synonyms and antonyms for a variety of grade levels. Click the Add Rows button to add more entries.